Stacey Hendrickson, founder of Casper & Pearl wants to make sure you know her story. That's why, each one of her collections is a colorful vignette with a signature standout print. 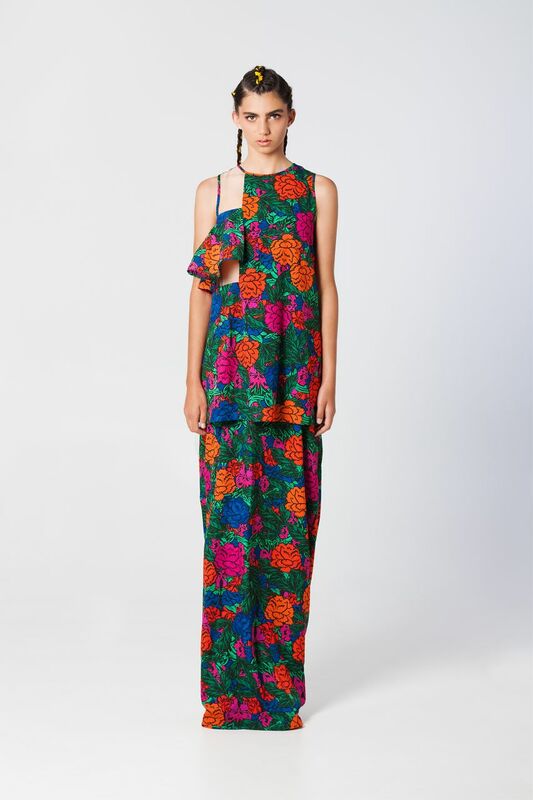 The Australian-based label now in its fourth year is catering to what she calls a "girly girl that's confident, creative and flirty." We always create a stand-out print that aims to make girls’ jaws drop. Styles are always interesting statement pieces that will make you stand out in the crowd. For spring/summer 2015, you'll see inspiration from Mexico that was born out of a vacation filled with colorful discoveries: craft markets, architecture and textiles to bring to life the Hola Lola collection. Grounded in a rich tropical floral, you'll see it take form in an off the shoulder sweetheart crop trop, oversized bomber jacket and dresses which come in solid colors too. The embroidery dress in a punchy orange is detailed with flowers and birds and for the girl that doesn't miss a beat, there's the shoulder-baring San Pablo dress that's destined to be worn when doing all things fun. Learn more about this emerging designer at Casper & Pearl.